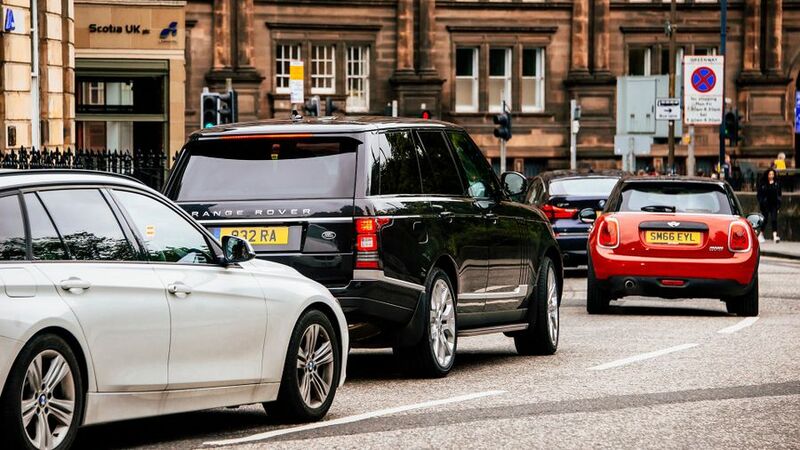 Sitting in traffic costs UK motorists an average of £1168 each, according to a new report. It also found the average UK driver spends 31 hours a year in congestion. 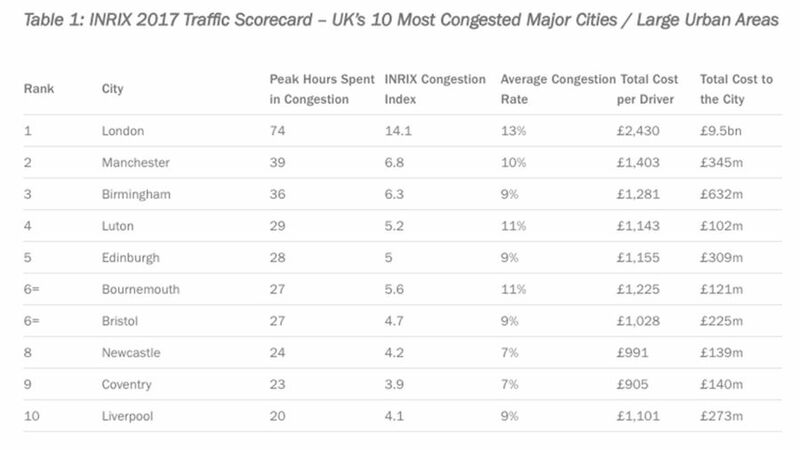 The INRIX 2017 Global Traffic Scorecard, which analysed traffic in 1360 cities in 38 countries, found that the UK was the tenth most congested country in the world, and the third in Europe, after Russia and Turkey. The direct and indirect costs of that congestion amount to more than £37.7 billion. The report studied 111 cities and towns across the UK. Perhaps unsurprisingly, London is the most congested city, with drivers there spending an average of 74 hours – more than three days – in gridlock during peak hours, up an hour over 2016. The most congested stretch of road is the A406 Northbound from Chiswick roundabout to Hangar Lane, where each driver spent 56 hours in congestion during 2017. The next busiest city is Manchester, followed by Birmingham, Luton and Edinburgh. Outside of London, the most congested road is the A34 from Robin Hood Lane to the A41 in Birmingham. However, there was good news north of the border, as Scottish cities have made significant improvements compared to 2016. Aberdeen, Glasgow and Edinburgh all reduced peak hours in congestion by 20%, 15% and 10% respectively. Globally, Los Angeles is the busiest city in the world., followed by Moscow and New York. Dr Graham Cookson is chief economist at INRIX, the transport analysis company that commissioned the report. “Combined with the rising price of motoring, the cost of congestion is astonishing,” he said. “It takes billions out of the economy and impacts businesses and individuals alike. Rod Dennis, a spokesman for the RAC, said the figures brought into sharp focus a reality suffered by commuters across the UK. “In some areas our roads are struggling to cope under the sheer weight of traffic,” he said. “Not only is this bad news for the economy, it's also bad for air quality and indeed drivers' own well-being. “There is no silver bullet to sorting out congestion. Ring-fenced funding for improving England's major roads from 2021 should help, but there also needs to be an emphasis placed on providing cheap, practical, reliable alternatives to the car – especially in urban areas.